Coffee has been around a very long time, and we know a lot about it. The research is clear. We know that coffee has some very nice benefits, such as increasing alertness and metabolism. We also know that physical and psychological addiction to caffeine is real, and that most people can handle about two cups of coffee, before they begin to experience its negative side effects, including increased heart rate, blood pressure and anxiety. Concerns about coffee and recovery fall in one of two categories: the impact of caffeine and the use of coffee to change one's mood. One of the key components of recovery is learning to cope with stress without numbing it with substance abuse. As you pay attention to what you put into your body, you may think: This isn't the time to add caffeine dependence into the mix. 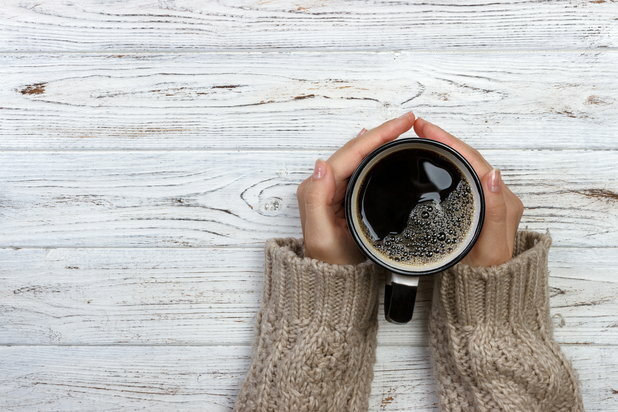 Sure, many people are able to drink coffee without experiencing major health consequences, but should you chance your sobriety? Given your history with substances, what if you begin to need caffeine to sustain your waking life? Wouldn't that be considered substance addiction? Recovery itself is anxiety-inducing, so why consume a beverage that can cause even more anxiety? For some of us, wasn't anxiety the thing we tried quell with drugs and alcohol in the first place? Some point to coffee as the first mind-altering drug we accept as appropriate as children. We learn that it is an adult beverage appropriate for elevating mood, particularly in the morning. There is no shame in drinking coffee, and we turn to its mood-elevating effects when we grow up without question, even when its bitter taste reminds us that it is not a drink to quench thirst or enjoy on its own. We learn to love coffee not for its acerbic taste, but because its alters a sluggish mood. One could argue this makes it easier to accept the second socially appropriate mood-altering beverage: alcohol. Again, we are taught as children that a beer can lift an adult’s mood at a football game, and a glass of champagne grants one an excited buzz for the New Year. We see our parents drink a glass of wine to relax at dinner, and we might not learn ways to deal with stress without drinking. So where does a recovering addict draw the line? How can we argue that alcohol is inappropriate to alter one's mood, if one uses coffee with the same mindset? These questions are fairly easy to answer when consciously thinking about them as adults. However, without thinking this through, one is at risk for experimenting with alcohol and other mood-altering drugs. And keep in mind, during our teenage and young adult years, we weren’t exactly renowned for thinking through our actions. And understandably so, as the decision-making part of our brain wasn’t fully formed yet. 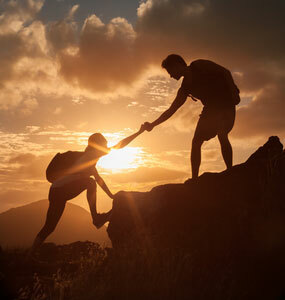 An addict copes with problems and stress by escaping them through substance abuse. Breaking that pattern is not easy. Living sober means taking problems head on without the crutch of inebriation or intoxication. It means facing a challenge at work instead of staying home to get high, or getting up and tackling your first task in the morning without requiring a stimulant to make it happen. My take is that drinking coffee does not doom someone's sobriety. Many people can flourish in recovery while sipping away their favorite Starbucks concoction or pouring themselves a quick cup at a meeting. However, it's OK for one's relationship and perspective of coffee to change in the wake of alcohol and drug recovery. For those who find coffee to be a stumbling block to sustaining full recovery, perhaps a healthier pick-me-up is more suitable for you, such as healthy juices and smoothies. The point is, you're now paying attention to your body — what goes into it, how it affects your day-to-day life and your interactions with those around you. That's a train of thought you didn't often entertain while in active addiction. And ultimately, recognizing that something does not serve you well and being willing to cut ties with it is recovery progress in and of itself. If you or someone you love is struggling with addiction, browse our directory of treatment centers, or call us at 800-772-8219 to inquire about recovery options.